Learning More About Tree Pruning - Metro Lawn Care, Inc.
Tree pruning is something that most homeowners will have to worry about at some point during their residency. However, correctly pruning your trees can be a challenge, especially if it is your first time approaching the task. Through learning more about the techniques, equipment and safety precautions necessary for tree pruning, keeping your outdoor landscape aesthetically pleasing should be achievable. Timing and selection of branches to trim are both essential for the health and appearance of the tree. According to Tree Removal, “It’s almost always best to trim or prune a tree during its dormant season. Although you can technically prune a pine tree at any time, it is still better to do so when it is dormant. Be conscientious about the size of the branch that you are going to remove. If it is less than five centimeters in diameter, removing it is fine. If it is between five and 10 centimeters in diameter, you might not want to do it.” For any branches that are larger than this, it is wise to only remove them if absolutely necessary. Some situations in which this may be necessary include safety from dead or broken branches/limbs. This same safety concept also related to utility lines or obstruction from line-of-sight while driving. Health is also another reason to engage in tree pruning. By cutting off dead or infected branches, it is possible to eliminate infections while redirecting resources to other more productive areas of the tree. Tree height is important because it is used in determining the ratio of living branches to the height of the tree. This ratio should be as close to as two-thirds as possible. An easy way to measure the height of a tree is to use an angle measure and the length of a shadow on a sunny day. Plugging this into a trigonometric expression can produce the exact height of the tree without the danger of climbing. 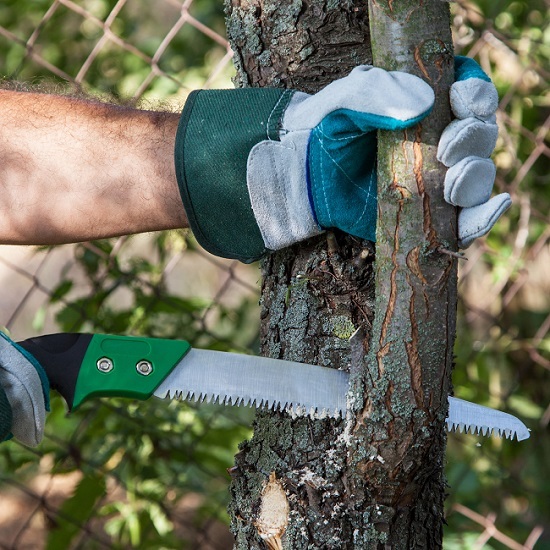 If you have any questions about tree pruning, then be sure to contact us at Metro Lawn Care.